Nelson Appleton Miles was born near Westminster, Massachusetts, on 8 August 1839. He received a rudimentary military education from a former French officer and then joined a company of volunteers in 1861. He was commissioned as a captain and served on General Oliver O. Howard’s staff. Miles was wounded at the battle of Fair Oaks; he was promoted to lieutenant colonel in the 61st New York Volunteer Infantry. At Antietam, his commander was wounded and Miles took over. For his gallantry, he was promoted to colonel. Miles was wounded again at Fredericksburg and then at Chancellorsville. Congress awarded him the Medal of Honor for his action at Chancellorsville, and he was made a brevet brigadier general. Later, he fought at the Wilderness, Spotsylvania, and Petersburg. In 1864, he was made a brigadier general of volunteers. A year later, he was made a major general of volunteers. After the Civil War, Miles commanded the District of Fort Monroe, where Jefferson Davis was held. Miles was made a colonel in the regular establishment in 1866. In 1868, he married Mary Hoyt Sherman, General William Tecumseh Sherman’s niece. From 1869 to 1874, he served in the Indian Wars. Miles then successively commanded the Department of the Columbia, the Department of the Missouri, the Department of Arizona, the Division of the Pacific, and the Division of the Missouri. He had overall command of operations at Wounded Knee and the Pullman Strike while he commanded the Division of the Missouri. Miles served as commanding general of the United States Army from 5 October 1895 to 8 August 1903. He led the Army in the Spanish-American War of 1898, and conducted the Puerto Rican operations. 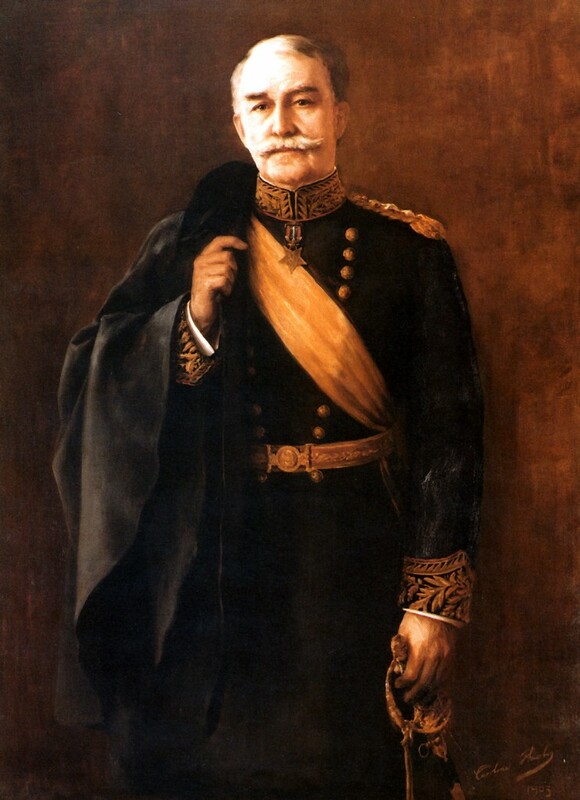 In 1900, he was made a brevet lieutenant general, which was made permanent the next year. Miles retired in 1903. He died in Washington, D.C. on 15 May 1925.